What is Meniere’s disease? We are facing a condition of the inner ear that, among other symptoms, may cause dizziness, vertigo and hearing loss. Know its symptoms and causes will help us unravel the disease, to rule out other diseases and apply the most appropriate treatment. Meniere’s disease can affect one or both ear. The name of this disease is due to the French physician Prosper Meniere who was the first to identify and describe it. Specifically affects the inner ear and can appear overnight. The inconvenience, also may spontaneously remit and not occur again. However, in other cases, it can become quite severe discomfort with risk of hearing loss. It is advisable in all cases, consult a doctor. Its main cause remains a question still unanswered, although doctors and specialists point to a possible excess fluid in the inner ear canals whose function is to control the balance and hearing. The excess fluid can cause the appearance of an edema, which is believed may distort the information sent to the brain, with the appearance of the characteristic symptoms of this disease. The excessive noise, certain biological factors or even a virus could also be behind this syndrome. Dizziness and feeling of loss of balance. 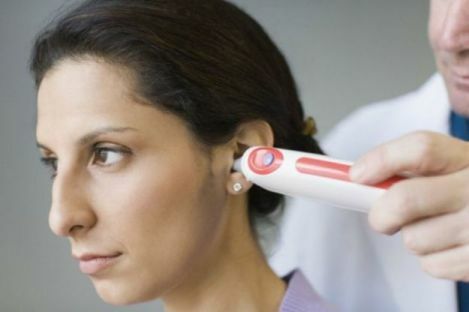 To certify that we are actually to the Meniere’s syndrome the doctor will perform a physical examination of the patient, audiometry and resonance, especially to rule out that the symptoms do not respond actually another problem, such as dizziness. Currently, there is no treatment to permanently cure this disease, but there are options to control and relieve our symptoms. The first medical advice is checking the diet and reduce sodium intake as far as possible. It is also often recommended taking certain diuretic drugs to control water retention and prevent the pressure in the ear. In some cases, it is necessary to prescribe a medication to control dizziness and vertigo. When all of the administered treatments have not produced results, your doctor may recommend surgery, a procedure that involves draining the fluid of the inner ear or balance nerve to reduce dizziness. Regarding prognosis of this disease is difficult to predict, since as we have noted its evolution varies from patient to patient. It is possible that, in some cases, symptoms subside after a few years. In other cases, disappear with a simple medical treatment. Only in the most severe cases, and in which hearing loss is becoming a major risk, it is appropriate to surgical treatment.